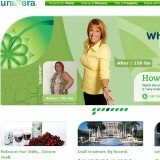 “Univera”, by Bill Lee and found at univera.com, is yet another health fruit drink multi-level marketing / MLM business out there hoping to get you to buy their product and bring more people in, usually family and friends. I want to make one thing clear. We are not here to make friends with scammers, we’re here to save you money. That said – MLM is something we seldom recommend here, and Univera is no exception. Don’t be fooled by the sung praises on the many fake review sites with the header ‘scam’ after the company name littering the internet highway because, aside from those, you will see many complaints from customers, distributors as well as threatened and filed lawsuits. Many complaints from MLM distributors deal with wrongful or early termination without compensation, thus the lawsuits at hand. Consumer grievances count over priced items among other criticism. The saying goes, and we are among those who say it, that the chief individuals who make any significant income from MLM are the ones at the top. By now, there have been so many distributors through Univera that you will be so far down the line that your success is doubtful. However, if you are an MLM founder, I’m sure you might succeed, because you started at the top. Most people getting into this type of business have little to no experience and the ones trying to get you to come on board will say you don’t need any. That simply is not true. It’s these folks who fail 97%+ of the time. Unless you have a loyal following of friends and family that will buy anything from you, you will need to know how to get the word out to get more people in – all the time. It is a never ending job. You will work at this harder than your day job and there is still no guarantee of success. Univera and companies like it even say so in their disclaimers. Read them carefully and thoroughly. I have to say I don’t recommend Univera as any viable means of steady income whatsoever. If you’re experienced, I know you won’t really be interested to be involved so far down the line. To add, the complaints of shady practices among Univera’s people make it a borderline scam. I do not recommend “Univera”. with your permission let me to grasp your feed to stay up to date with impending post.